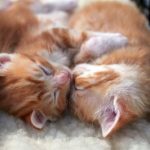 Many of the same principles for keeping kittens healthy are the same ones for kittens as for cats, so we’ll only discuss here the unique circumstances that apply to the younger kittens — those who are six weeks to four months old. 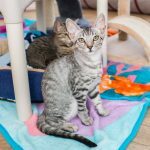 The seven-day isolation period is even more important for the younger kittens than it is for cats. Why? Imagine a child starting kindergarten. Everybody usually comes home with a cold of some sort. 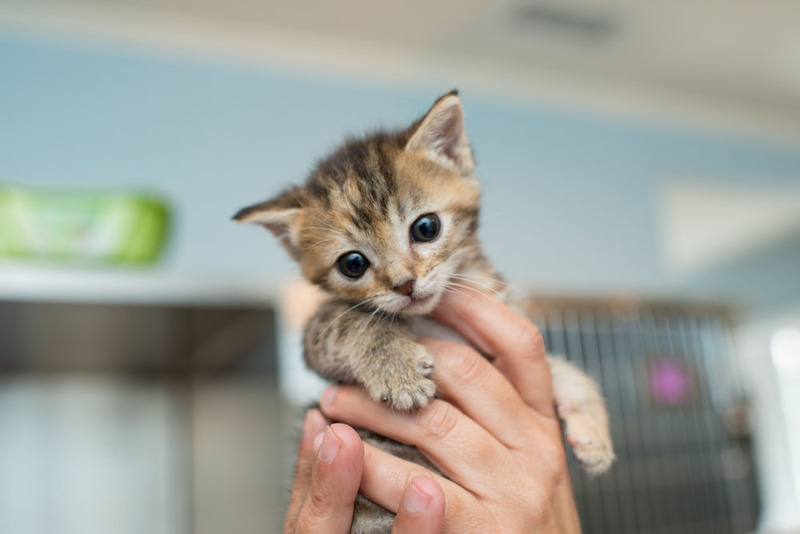 The same holds for kittens that have been exposed to the pound. If your new addition comes from a shelter or pound, he or she is particularly at risk for illness. 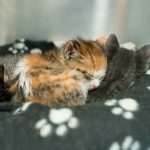 A shelter is a stressful environment for a kitten (or a cat for that matter!) and their immune systems — just like ours in times of tension — take a dive. That leaves them susceptible to whatever happens to be going around the shelter’s population. Plus, younger kittens have weaker immune systems, so they are more likely to come down with something than an adult is. Once the kitten is out and about in your household, it is very important to not allow it to harass your resident kitties — at least not too much. (After all, this is the sworn duty of the kitten!) If your resident cat gets too bent out of shape and aggressive towards new kittens, it can make subsequent fostering difficult. Again, make sure your resident kitty is queen bee! Depending on their age, kittens should be feed between 2–4 times a day. You’ll be able to tell how hungry they are and get into a groove. 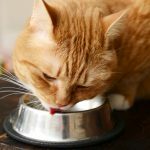 For keeping kittens healthy, it is essential that you monitor kittens’ eating habits, and if ever there is a decrease, you should seek medical advice. 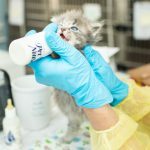 Kittens have far less reserve than adult cats and we need to support them even more than an adult. Not sure what brands of food to feed them? Here are some of our recommendations. When it comes to water, the same goes for young kittens as for adult cats, but usually at this young age they haven’t quite developed such “interesting habits” (drinking out of the faucet!) that your adults have. Therefore, a typical water dish usually suffices. For the most part in adult cats, stool consistency and urine volume can fluctuate without much problem. This is not the case with kittens and any change of stool or urine production needs to be addressed. We really can’t take any chances with young kittens, given their rough start in life. 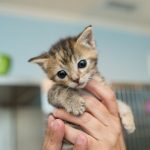 The same warning signs go for younger kittens as they do for adult cats, but just be even more astute and alert to any change in the kitten’s condition. Read the next Kitten Care Handbook article: Keeping Kittens Healthy — Over Four Months Old.